Decapitation didn't always lead to instant death. There was an executioner who got drunk on the day he was to execute a former king. The first blow missed, and the second hit the shoulder, while the third just briefly hit the neck without killing the condemned, just causing him a lot of pain. The forth hit the shoulder again, and the audience could hear the victim groan in faint pain before the fifth stroke chopped the head off. 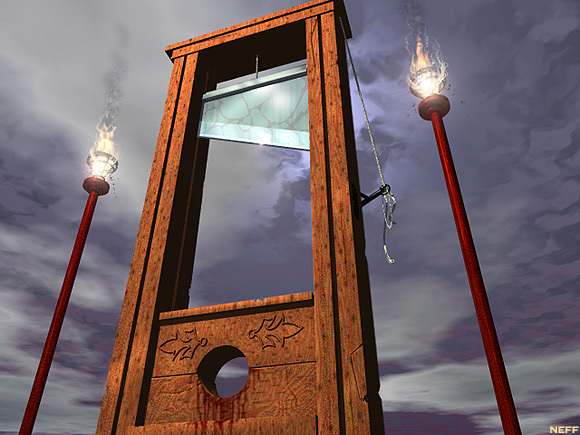 The person beheading the condemned was known as a headsman or an executioner. The executioner was usually presented with a warrant authorizing him to execute the sentence without being charged with murder. Executioners usually travelled large distances to perform the executions, and would also administer non-lethal punishments such as torture if ordered to.